From Amanda Linn: I thought these might be useful to others. I am sometimes stumped for meaningful sketchbook ideas. Many of these are ideas I have "sponged" and modified from other people. Others were designed to prepare my students for specific art experiences we will have in the future or to support themes and ideas we are exploring. · Select an above or below point of view in a specific area (your room, kitchen, bathroom, outside, in a car, etc. Complete this drawing paying attention to details. You may complete the drawing in pencil, colored pencil, pen, etc. · Choose an enclosed space- a kitchen cabinet, a television, an oven, a refrigerator, in a drawer or closet. What human qualities do the objects in the enclosed space assume when no one is watching? Do the mustard bottles dance? Do the socks play cards? This can be one page with details…be sure and show the interior of the space as well as the objects. · Over 2 pages show the gradual transformation of a pair of scissors into another object- example: scissors into a shark- DON"T USE THIS EXAMPLE- it was my idea. Details are needed in the drawing- color is optional. · If you got a holiday card from one of these artists what would it look like? · What happens when a 6-foot tall squirrel shows up in your yard? · Identify an object that relates to your identity. Create an artwork that uses the image of that object (or the actual object) as the SINGLE FOCUS of the artwork. Open media. Arrange these images in a composition that communicates your identity. Open media. Should span at least 4 pages in some order that communicates the answers to the questions. · Illustrate a dream you have had using only 5 symbols (single images that communicate ideas) This may take one or two pages. You may use color or black and white to complete the image. Consider what you know about composition, emphasis, etc. as you build the images. · Create a design using elements from magazine or newspaper images. Cut and paste the images onto the page in your sketchbook to create the design. Creative views of your car, bicycle, skateboard, etc. Make the image reach all the way to the edges of the page. Demonstrate what you know about point of view, emphasis, composition, positive and negative space, etc. What would you see if you grew wings and flew over our town? What if your big toe became its own person? What if you suddenly became very very small? Appropriate an image from magazine/newspaper/web-image that illustrates/demonstrates an unusual point of view of common objects, space/place, architecture, or group of things/people, other. Draw a same size line drawing from your image. Draw an enlarged scale version based on your same size line drawing (don’t be concerned about some changes in image… current drawing compared to a previous one). Use oil pastels to enhance enlarged line drawing. Select among the following color relationships to be a guide to using color for expression and emphasis. This assignment will also be done in your sketchbook. You may draw from a HIGH CONTRAST photos, or from direct observation, harshly lit. DO NOT use any magazine photos of models, which are meant mainly to showcase makeup. Draw the face, at least twice, summarizing it into shapes of shadows and light. Observe and record how the shadows connect features. Media: Your choice of Graphite Sticks , Oil Pastels , Charcoal , or any media you feel will give you the high contrast you are seeking. At least 2 faces. If it is your own, you can just change pose or lighting. This assignment is to be done in your sketchbook. It involves drawing your eye twice in two very different ways. Both are from direct observation, though. Please read the directions carefully. As always, date your entries. Make a DETAILED drawing of your eye and the area around it. Include everything you see when observing closely in clear, even lighting. For the second drawing, make a drawing in HARSH lighting, showing the shapes of the shadows only. SUMMARIZE, don’t itemize. This drawing will not contain detail, but will accurately represent the shapes of light and shadow on and around your eye area. 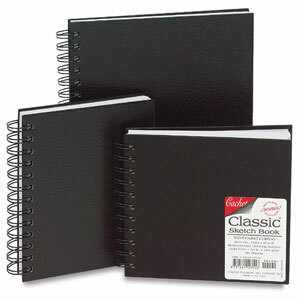 You will be keeping a sketchbook for the entire year. This sketchbook will be a series of drawings and mixed media pieces that you will use for your portfolio. Each one should be considered a complete art piece. This means that composition and principles of good design can and should be utilized. 1. Draw a portrait using light and shadow. In order to achieve strong gradations and a sense of form, place a light from different angles than normal. These can be under the chin, behind the head or from the top. This can be in graphite pencil or colored pencil. 3. Draw a place around the outside of your home. This can be a plant, part of the building or objects on the porch. Use ink and watercolor to create a strong contrast between the color and the ink. Crosshatching as a style is suggested but not required. 4. Draw bottles and cans. Have them crunched up for details in the reflections and folds of the metal. Include lots of detail and only show a small area instead of the whole can or cans. If it is a bottle, find an area that shows off the reflections and surface quality of the bottle. 5. Create a series of positive and negative space designs. On your desk at home stack a few objects into a pile. With a light shinning from the back look at the space that is white (light) and draw the shapes as a contour line shape. Use black paint or ink to fill in the spaces as a flat shape. The silhouette of the object should still be seen but new shapes created. 6. Draw a piece of furniture in your house. This can be in color or black and white. Sit in an area and observe the lines and shapes of the piece. Create a format around your observed area and look for textures, gradations, wood grain or interesting shapes and make a detailed study. This is the second round of sketchbook assignments. Choose 4 of these to use and have them completed before the next grading period. Remember to use good drawing skills and composition. 1. Pop some popcorn. Take a few kernels and look at the shapes and shades created. With pencil and smudge shading, study a few of the kernels and fill the page with them. This drawing should show a good sense of drawing skill and soft grays with a Tortillons or some blending device. 3. Draw yourself using a strong light source on one side of your face. Use a mirror and try to have some expression. Focus on the strong shadows created by the light. Use pastel for blocking in large areas with a lesser amount of detail. 4. Using color (Cray-Pas ) create an Impressionist Landscape drawing. Use Van Gogh, Manet, Seurat, Pissaro, Sisley, or Cezanne as your guide. Use the internet and look up these artists to observe their work. Find a landscape on the net as well and draw it as a n Impressionist. 5. Draw a series of animals in motion. Such as a cheetah running, a rabbit hopping, a bird flying. This can be in any media and you can use just three views or images in a row. 6. Divide the page into three areas with a ruler. Create a very involved contour drawing with pen of a small object of your choice and put it in one of the areas going outside the shape. Next, in another area, draw the same object with pencil using good shading and proper proportion. For the last area, distort or abstract (like in cubism) the same object using three values or colors. 2. Another good idea is to print out a variety of sketchbook assignments on address labels and give them to the students. I have printed 30 different assignments on one page of sticker labels and printed one (each student receives the same problems) for each student, there is some initial cost for the labels but you will not have to give out another assignment sheet for the rest of the year. I created open ideas that instill good observational, creative, and compositional skills. Give each student the same printed page and they can chose what problem to tackle for their sketchbook for the week and stick the one they selected to the back of the page, or you can have them stick them to the prepared pages and they would be forced to move through the sketchbook in an unordered way. This gives the student options and allows them ownership in what they draw each week depending on their mood... but also keeps them focused on the skills they need to work on during the year. I have them staple the label page to the back of their sketchbook so that they do not lose it. I saw this idea and loved it and decided to adapt it to my art 2 and 3 classes and what kid does not like stickers?....even high school kids have a fascination. See list of ideas. A single flower with all its leaves, etc. A close up of the various pieces from a game, the board, box, etc. I like to give words or phrases for idea spawning. I don't grade sketchbooks. I believe they are personal places of exploration for not only practice but journaling and questioning and sometimes, even doodling, but especially creative thinking. I just always hope they will discover mixed meanings, irony, metaphor, and symbolism.... just how to get ideas. This summer I am going through 5 years worth of art , fine crafts and photo magazines that I subscribe to, and I am listing word, phrases, titles, media and techniques that catch my eye. I like to have the kids make arbitrary picks from the list ( pull from a hat, a spin wheel, etc.) and take a day a week that they do the sketchbook exploration without the pressure of projects and grades. Lonely -- L (one) ly inspired by the e.e.cummings poem "1(a"
A sketchbook should be a fun place, not a chore or another "have- to." If I judge and grade the sketchbook, then where do they go to make free ideas? If we all had i-pods and camera phones, I would include those too. Where is Waldo? Students take one sketchbook page and fill it in with miniature drawings of everything that relates them and their lives… gum, braces, football jersey, soccer and footballs… etc and endless… the page must be filled, no blank space and all items are reduced to the same or nearly same size… could a 2D as well as drawing assignment... teachers complained that my students were drawing in their class! Draw a chess set set-up and partially played - do the same with other board games- use your favorite game from childhood. Draw on white Mat board , cover with several layers of gloss medium, cover this with oil paint- release the drawn image, the paint and the medium. Landscapes with and without man-made structures. Draw buildings and man-made structures with character- bridges- the interior of old churches or old theaters. Fill bottles with colored water and use in a still-life. Fill plastic bags with objects and draw - draw bags of candy or marshmallows. Play the Password Game. Divide the class into groups of five or six. Use one painting each group comes up with five descriptive words from the same work of art. The students share their words with the class and everyone must then take all the words and write a piece of poetry. The poetry must use all the words, words that are repeated must be used as often as they are repeated. Students then illustrate their poetry. The skeleton of a small animal or bird really small or really big. Tape a pencil or marker to a yardstick or long dowel; use this to draw on papers attached to a large wall. Botanical drawings especially pine or spruce twigs w/pinecones. Five views of the same object or objects. Draw on objects or surfaces not usually used to draw on... these may be primed with tempera paint. Stretch an old pair of jeans or flannel shirt. Prime with tempera if necessary, use this as a drawing surface for chunk charcoal or graphite sticks. Use a small picture frame, 8 x 10" (20 x 25.5 cm) or 10 x 14" (25.5 x 35.5 cm), stretch dampened paper by gluing the edges with Elmer's Glue ; it will shrink and tighten when dried. Use this as a drawing or 2D design surface. The surface is "soft" and will not allow much pressure and for sure no erasing!